Unite against the War on Women! Rally Saturday April 28 from 10-2 at the State Capitol building in Harrisburg PA. Stand up for women’s rights and true religious freedom! The Delaware Valley Americans United Chapter will be represented in Harrisburg by Fran Pierce. DVAU is proud to endorse this event, we urge everyone to attend! Help defend women’s rights and pursuit of equality. Join Americans all across the United States on April 28th, 2012, as we come together as one to tell members of Congress in Washington DC and legislators in all 50 states, “Enough is enough!” UniteWomen.org strongly supports diversity and welcomes men and women of all ages without regard to their race, color, creed, political affiliation, disability, religious or spiritual beliefs, sexual orientation, gender identity, education or income level, marital status, employment status, or immigrant status. Everyone is invited to join, plan, and rally as we unite to demand that every person be granted equal opportunities, equal rights, and equal representation. Watch this video of the Reverend Barry Lynn, Executive Director of Americans United for Separation of Church and State, as he talks about the Religious Right’s War on Women, and what we must do about it! Virginia legislators recently tried to enact an invasive, mandatory “trans-vaginal ultrasound” measure for women seeking abortions. In Mississippi, lawmakers took a cue from Virginia and are now pushing the same type of regressive, restrictive legislation. Texas Governor, Rick Perry, has decided to deny funding to Planned Parenthood and other abortion providers under the Texas Women’s Health Program. GOP presidential candidates want to end Medicaid funding and turn it into state-by-state bloc grants. Personhood legislation and amendments are being actively pushed through state legislatures in attempts to criminalize contraception and family planning. State laws regarding voter registration designed to suppress voter turnout especially among poor women, seniors and minorities are already in place and spreading. A new and growing movement called Unite Against The War On Women is poised to push back on measures like this, with protest marches and rallies across the country on Saturday, April 28. The newly-minted organization has garnered more than 17,000 members nationally in less than two weeks in the wake of of Virginia’s “trans-vaginal ultrasound” bill and other pending legislation. Unite Women is saying, “Enough is enough,” and is mobilizing women and men to push back, according to Karen Teegarden, founder of the new organization. In addition to the April 28 actions, Unite Women is also looking long-term to future actions and activity for the group. “We will not suffer the burdens of those whose ambitions would be fulfilled by the destruction of the human worth of mothers, sisters and daughters of this great nation,” Teegarden said. While the immediate impetus for Unite Women is the assault on reproductive rights, Teegarden sees the threat to women inclusive of other concerns, including education, workplace equality, voter suppression and crimes against women and children. “This war on women must be resisted, and won, before the toxic effects of the current national conversation become irrevocable reality,” she added. 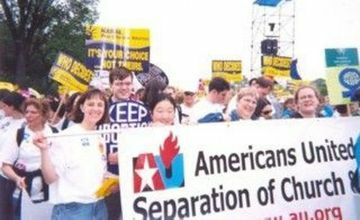 Unite Women-PA will be holding a rally in Harrisburg PA, at the State Capitol, April 28, 2012, 10am-2pm.